Nose: Apricots, figs, apples, vanilla, caramel, leather, oily nuts & oak. The Remy Martin 1738 Accord Royal by Vincent Leroy Cognac is a limited edition that will certainly appeal to the collector. The Cognac house teamed up with renowned French kinetic artist, Vincent Leroy, to create a brand new series of limited editions. Remy commissioned the artist to create a unique piece of art, and Leroy drew his inspiration from the swirling colors of Cognac to create the masterpiece, Red Ripples. The packaging of this special edition is a wonderful representation of this superb work of art. 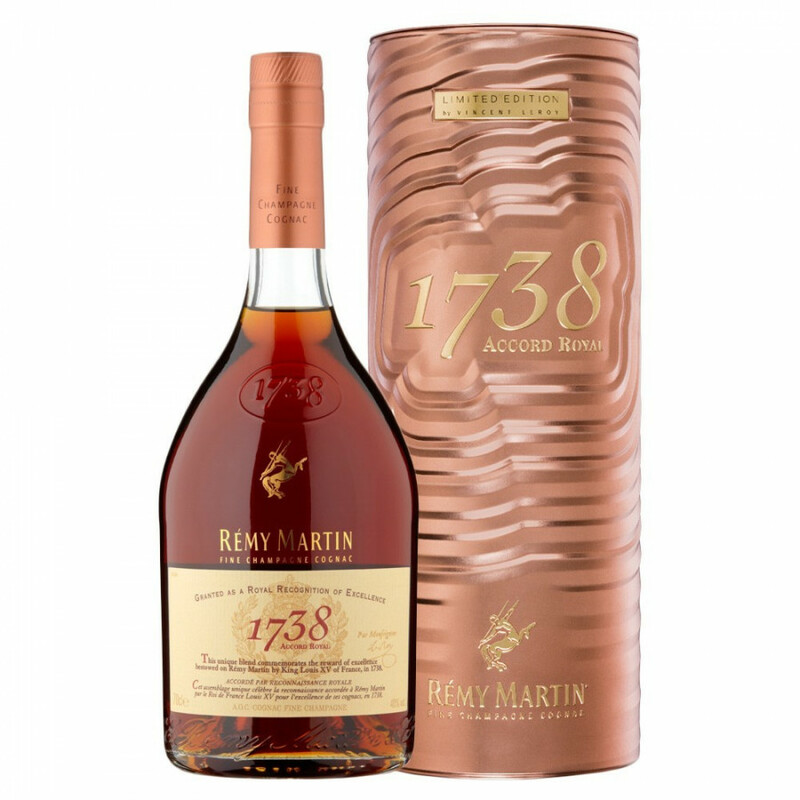 The Cognac contained within is the Remy Martin 1738 Accord - a Fine Champagne Cognac (blend of eaux-de-vie from both Grande Champagne and Petite Champagne) of Napoleon quality.